This is my last post for History SPOT and the last blog post for this particular blog. The History SPOT blog is closing down after almost four years. That doesn’t mean that the History SPOT website is closing down; it’s just in the process of a reinvention alongside other changes occurring with the Institute of Historical Research’s online presence. Over the coming months you will begin to see changes with the History SPOT website. First, the podcasts have just moved over to the IHR website, integrating them with the seminar pages. In addition IHR podcasts are now appearing on iTunes-u; You Tube; and the School of Advanced Study website. This part has actually been happening since late last year. 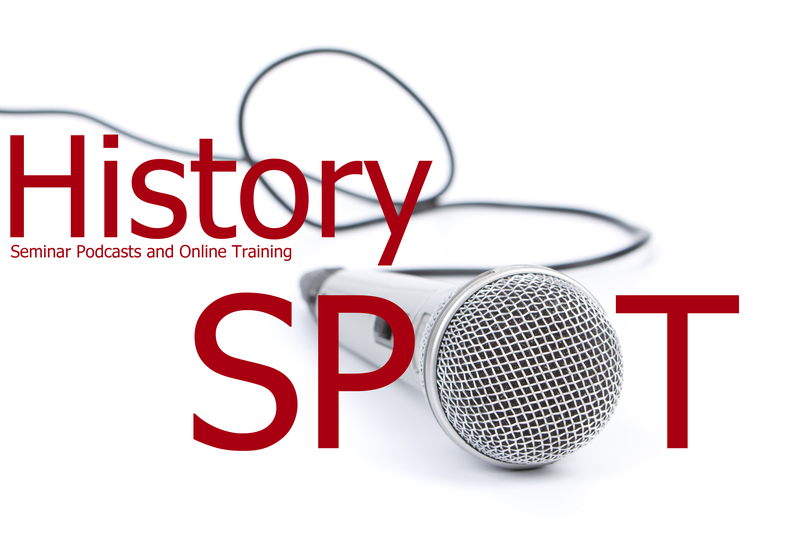 Second, the History SPOT website will become solely a research training platform, moving the focus entirely towards training courses. In this regard we have a lot in the works already. In partnership with the University of Kent and the Museum of London the IHR have been helping to organise a series of workshops around the topic of material culture. These workshops have looked at the meaning of objects, their historical uses, and different methods for analysis. In 2014 the results from these workshops will be redeveloped for presentation online in the form of a FREE short course. In December the University of Hull held the first in a series of workshops on the topic of managing your data as an historian. In February the IHR will be holding a second workshop on this topic and then the University of Sheffield will be holding a third workshop in April. But this is only the start. In 2014 an entire online course will be made available for FREE on History SPOT that will guide you through the research process and enable you to easily and quickly develop a data management plan, often essential for research proposals and useful for research itself. A year ago the School of Advanced Study published the first module of the InScribe Palaeography materials course on History SPOT. Another module is still in development looking more closely at scripts. This will be ready for launch sometime soon. Although I personally will still have a role with developing these courses I am saying goodbye to the podcast service entirely. I have now moved over to the School of Advanced Study working on digital projects for them, which will, admittedly, intersect with the IHR and History SPOT website from time to time. It’s sad for me to close down this blog. It was my first one, indeed, it’s because of this blog that I have developed others and spent time investigating and researching blogging practises in more general terms (see my Blogging for Historians blog for some examples of this). I will still be blogging elsewhere as well, such as the SAS Blog and my own research blog, Sixteenth Century Scholars. I hope too to contribute occasionally to the new IHR blog, and it is to this matter that I would like to particularly turn your attention. Although the History SPOT blog is coming to an end the posts will live on in the new IHR blog that has just been launched. You will find all the posts there alongside the archive from other IHR blogs, all rolled into one place. I’m hopeful that there will still be the occasional review summary of a podcast on this new blog. There will certainly be updates regarding research training online and updates about changes to the History SPOT website as and when they happen. For now then I will say goodbye and thank you for reading this blog over the last four years. It’s been great fun and I hope it’s also been useful and interesting to you, my readers. The new IHR blog, including History SPOT blog posts can be found at The IHR Blog. For IHR podcasts take a look at the events section of the IHR website. New podcasts can also be found on the University of London iTunes-u account, the School of Advanced Study website and You Tube pages.